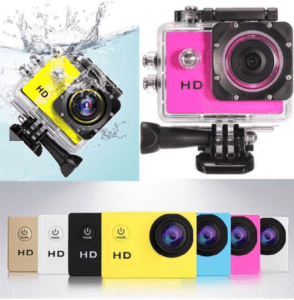 An action camera will be able to capture a wide variety of scenes from immersive diving scenes to intense sports scenes, with a high-quality video. 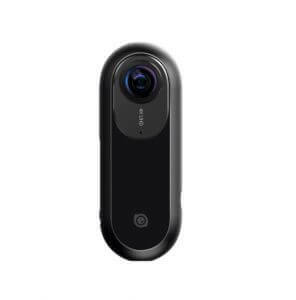 They are also called wearable cameras or sports cameras, with a lot of products from different brands such as Sony, GoPro, Xiaomi, Tomtom etc., with different features like water resistance, smartphone access, and other newly developed technology. 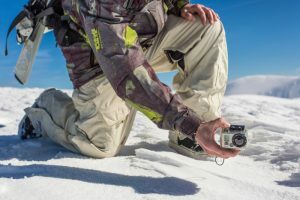 We will discuss in this article the pointers that you should keep in mind when purchasing an action camera, and compare their price, features, and reviews and show you the “top items in rank order”. Go ahead and capture each and every moment with your new action camera! First, we will introduce the pointers when choosing the right action camera. Keep in mind the points that we will show, and find the perfect action camera for you! Frame rate is the number of frames that a device can capture within 1 second. The higher the frame rate means it will be able to record high-speed movements with more smoothness. Regular cameras have 30 fps (frames per second), but there are high frame rate products with 120 fps or 240 fps, making them perfect for active sports videos. Though the file size will also increase with higher frame rate, so make sure you have memory cards with bigger capacity too. There are basically two types of resolutions: 4K and full HD. 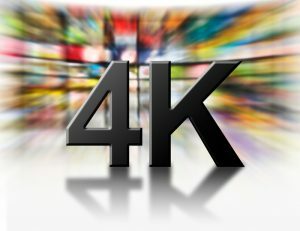 The most common resolution today is full HD, but 4k is a good choice if you have enough budget and want to record vivid pictures and videos. 4K resolution products will need a 4K resolution compatible TV in order to play them on screen. 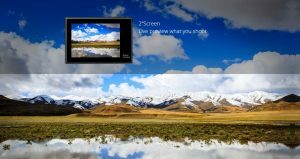 Even if you don’t have a 4K resolution TV as of the moment, it can still be a great idea to choose 4K resolution just in case you’ll buy a 4K resolution TV in the future. The “field of view” is the number that represents the range of the view that can be captured. The regular products have 130° to 150° field of view, but there are also products with 200° field of view to capture a more realistic scenery. 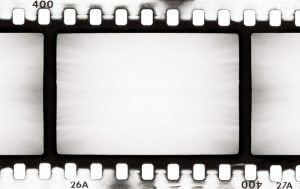 If you want to take more dynamic videos and pictures, choose a product with a wide field of view. However, keep in mind that the wider the field of view, the more easily you will experience camera shake. Choose your best field of view according to for what kind of activity you are going to use the action camera. A wide field of view and a high definition will all go to waste if the images are blurry. If possible, choose products that have image stabilizers. 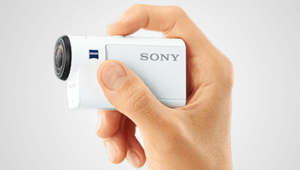 Most products have electronic image stabilizers, but the “Space Optical image stabilizers” that are used by some Sony products are very effective, and are one of the top features to look out for. If you plan to attach it to your bike, your skateboard or surfboard, then a waterproof and dustproof feature will become an essential feature. 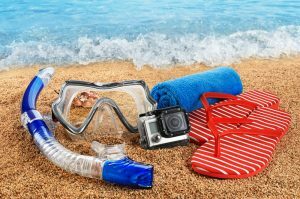 There are two types of waterproof feature that you need to check: the products with already-waterproof body, or those that you need to purchase a waterproof case sold separately. The waterproof feature can be represented by IPX. IPX1 is the lightest level, and IPX8 that can be brought underwater. If you’re expecting splashes of water, then IPX3 can be good enough, but if you plan to bring it underwater, try to look for IPX8 products. A dustproof is a must-have feature for those who are going to use an action camera for trail running, hiking or mountain touring. The highest dust proof rank is IP6X (dust is totally blocked from entering), or IP5X (dust can enter but won’t damage device) is safe enough to use outdoors. The size and the weight will be very important if you plan on attaching the camera to your body. If they are too big, then it might be hard for you to find the place to attach them without hindering your movements, and if they are too heavy, it may add burden to you during the entire activity. For example: for cycling, you can choose the place that you want to attach your camera. You can attach it on your bike itself, your hat or your helmet, etc., and each place needs its own attachment accessory. 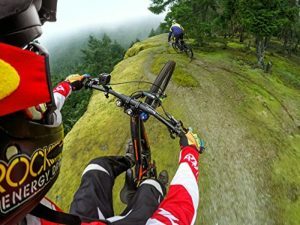 A lot of action cameras do not have screens to achieve a smaller body size, but there are products that can be linked to your smartphones so you can check the scene or angle before recording. If you really need a display, you may consider purchasing bigger products. Anyway, you might not have time to check the screen while you are doing sports or activity according to what kind of sports or activity you are into. However, if you want to take pictures or videos of the scenery, a bigger screen will help you to take them much easier. 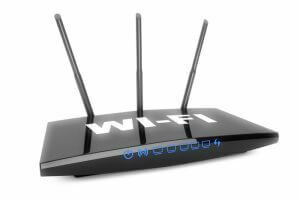 A lot of products nowadays have the ability to link to your smartphones or tablets through Wi-Fi. If your action camera has Wi-Fi function, then you won’t need to transfer the photos or videos to your PC before you upload them to your smartphone. You may just connect your smartphone to the Wi-Fi, and upload them wherever you are. Try to think about your lifestyle and check if you need this feature. We will now move on to the ranking of the top 10 items. Hope you could find the perfect product for you, and take dynamic pictures and videos of your adventures! 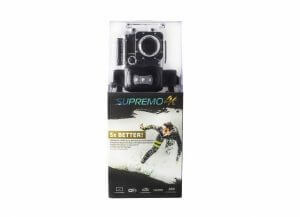 Action Camera for Less Than ₱1,000! Yes, you read that right. 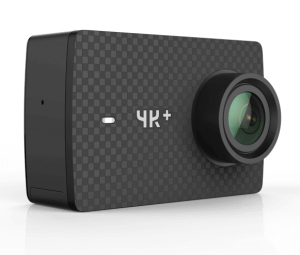 This product offers all the basic things you need in an action camera. Waterproof, with LCD screen for instant viewing, and high-quality images. Though its battery life is not that long, so we recommend you to use this product as a backup, in case your main action camera is already “dead batt”. This can also be a great gift for your kids who are in their pre-teens where they start becoming curious about photography and action cameras, but is not yet old enough for an expensive, high-end one. It comes with a lot of colors too, it will surely excite your kids when you give it to them as a gift! 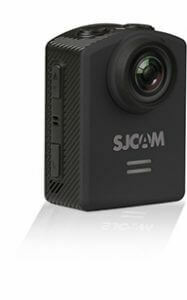 A compact action camera with a magnetic bottom so you can stick it to any metal surface that will serve as its tripod. If you’re planning to use your action camera for casual leisure trips and not really for extreme sports and activities, this might be the one for you. Though attaching it to a moving metal object such as your bicycle handle will not be recommended as it might fall with road bumps. This can be a great gift to your kids or young relatives with its user-friendliness and cute design that will surely make the recipient smile! 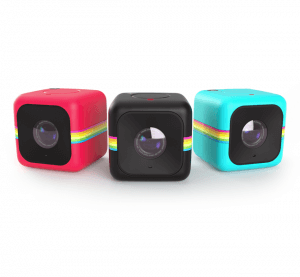 Capture the World Around You, 360 Degrees! This product will let you capture 360 degrees of your surroundings with ease, as it has the ability to capture every angle in every direction! You can then reframe your favorite angles, or just share the 360 view picture as is! One of the features that amazed its users, was when they capture a photo using their selfie stick, you won’t see the selfie stick itself in the picture! This will not only make your photos look more natural, it will also prevent the selfie stick from blocking any part of the view or frame you’re trying to capture. For adventure lovers out there who like it tough and rough, this is the best product for you! It can survive a 100 ft dive, or a 100 kg crush, a 2 m fall or -10 degrees freezing temperature or dust! This will surely withstand all your ups and downs throughout the adventure. All these toughness come with a 1.5 inch display with LED headlight that will let you go to extreme adventures in dark areas (underwater, caves, etc.)! This will also lessen your baggage during your trip! Highly recommended for expert adventurers who love to keep track of their achievements or trips. This product is not only affordable but is also packed with the accessories that you may need while you’re enjoying your adventure. If you’re new to using action cameras and have no idea what accessories to buy with it, this is the best starter pack for you. We recommend trying each of the accessories that come with this product and use that as a reference when you want to invest in more expensive and high-end action cameras and accessories. This product has one of the longest battery life on the market and it will allow you 3 hours if non-stop high resolution filming with a removable batt stick. 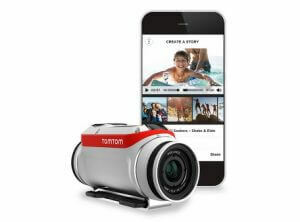 This will let you capture more photos or film more videos especially during an activity that will take long hours such as hiking or cycling. 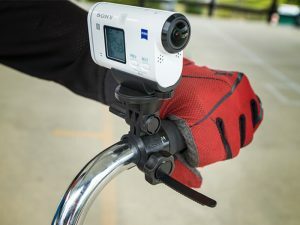 You can record the action with ease as it includes a go-pro mount adapter. This is highly recommended for those who want long HD coverage to capture the whole experience and not just the exciting parts. If you have a limited budget, or if you are still new and unsure if you should invest in an expensive high-end action camera, then this is the best product for you! Its 4K resolution at 24fps is amazing considering its low price tag. It has a touchscreen made with gorilla glass retina to make sure it can withstand the action. It can also serve as your dashboard camera and it has its specific mode that turns on/off with your car engine, and with an excellent anti-shake ability that enables stable recording. You could always turn it into your dashboard camera when you want to upgrade to high-end ones, so your money won’t go to waste. This product uses optical stabilization instead of the usual digital stabilization, hence the images or clips you can capture with it is clearer and crisper. It has three angle settings for more variety in shots, and 3x smooth zoom mode that enables you to adjust them while shooting. A product that is perfect for those who love experimenting on the angles and shots while aiming for the best crisp quality. It can be a little too much if your activities are not as extreme, but this product will best capture your fast-paced extreme adventures such as surfing, skateboarding, or cliff diving without the blur! You can take 4K video with a frame rate of 60fps, which is one of the best highest quality on the market. It also has a touch display to enable intuitive operation even when you are devoting yourself to your activity. It automatically adjusts its settings to capture high-quality videos and photos even under low light, so you can use it even caves, night parties, and other dark places. It’s almost unbelievable that you can get these high specs in this reasonable price! This is highly recommended for any people who want to record their great activities in a high quality. 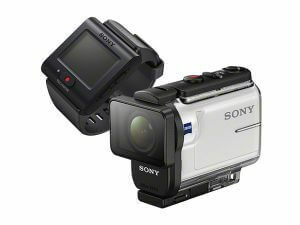 This is considered as the “King of Action Cameras”. We highly recommend this for professional vloggers or those who really want to invest in the best action camera available in today’s market. 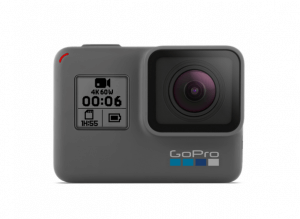 It will not only give you a variety of shots and options, but GoPro products will also have more options when it comes to attachments and accessories available in the market. What truly made this product stand out, is that you can use its stabilizer even when you’re shooting in 4K60fps. The body itself is waterproof as well, so there is no need for you to buy a case separately. A true must-have for adventurous vloggers out there! How were the top items in the ranking? Just one action camera will let you capture the most dynamic and adventurous experience of your life! Use your favorite action cameras and capture your best memories with style.